Bright blue spots on body that become less distinct with age, and a background colour of pinkish silver to red. Large fish may have a large bony hump on the head and a fleshy bulge on the snout. 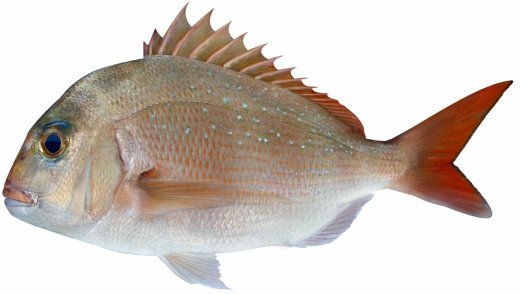 Snapper are a popular angling species and are regarded as an excellent table fish. Common names include: Cockney Bream, Reddies and Squire, which are the names of juvenile Snapper during different stages of their lifecycle. Maximum of 20 kg and a length of over 1 m.
Common in coastal and offshore waters from the Capricorn Group in north Queensland around the coast of southern Australia to Coral Bay in Western Australia (including Tasmania).